The Waverly Gallery (Paperback) | The Drama Book Shop, Inc.
Gladys, the elderly matriarch of the Green family, has run an art gallery in a small Greenwich Village hotel for many years. The management wants to replace her less-than-thriving gallery with a coffee shop. Always irascible but now increasingly erratic, Gladys is a cause of concern to her daughter, her son-in-law, and her grandson, from whose point of view this poignant memory play is told. A wacky and heartrending look at the effect of senility on a family, The Waverly Gallery was a success at. 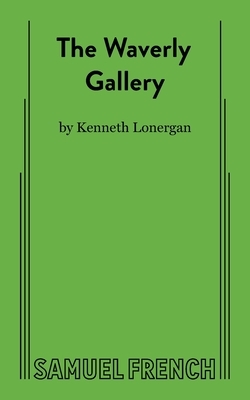 Kenneth Lonergan's productions in New York include The Starry Messenger (New Group), Lobby Hero (Playwrights Horizons, John Houseman Theatre, Drama Desk Best Play Nominee, Outer Critics Circle Best Play and John Gassner Playwriting Nominee, included in the 2000-2001 Best Plays Annual), The Waverly Gallery (Williamstown Theatre Festival, Promenade; 2001 Pulitzer Prize finalist), and This Is Our Youth (Drama Desk Best Play Nominee). Lobby Hero (Olivier Award Nominee for Best Play) and This Is Our Youth have also received productions on London’s West End. He co-wrote the film Gangs of New York which garnered a WGA and Academy Award nomination for Best Original Screenplay. His film You Can Count on Me, which he wrote and directed, was nominated for an Academy Award for Best Screenplay, won the Sundance 2000 Grand Jury Prize and The Waldo Salt Screenwriting Award, the NY Film Critics Circle, LA Films Critics Circle, Writers Guild of America and National Board of Review Awards for Best Screenplay of 2001, the AFI Awards for Best Film and Best New Writer, as well as the Sutherland Trophy at the London Film Festival. He is a member of Naked Angels. He is married to actress J. Smith-Cameron. They have one daughter, Nelly Sharpe Lonergan.